What's cleaning today at Able Carpet Care: Dose your Rug or Carpet "Bunch up" or Peak? 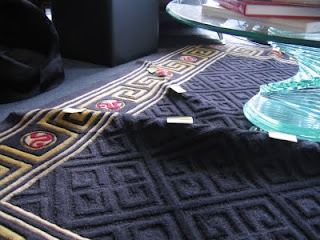 Dose your Rug or Carpet "Bunch up" or Peak? Rugs or carpets can Bunch up or peak depending on the circumstance. If a rug or carpet has been stored for a long time and peaking has occurred, the secondary backing can separate, this can be fixed through carefully using latex but if the backing is broken or the primary backing is hard this can be difficult. Bunching up of the carpet or rug occurs when a heavy table or chair stop the traffic movement of the rug and it bunches up against it.